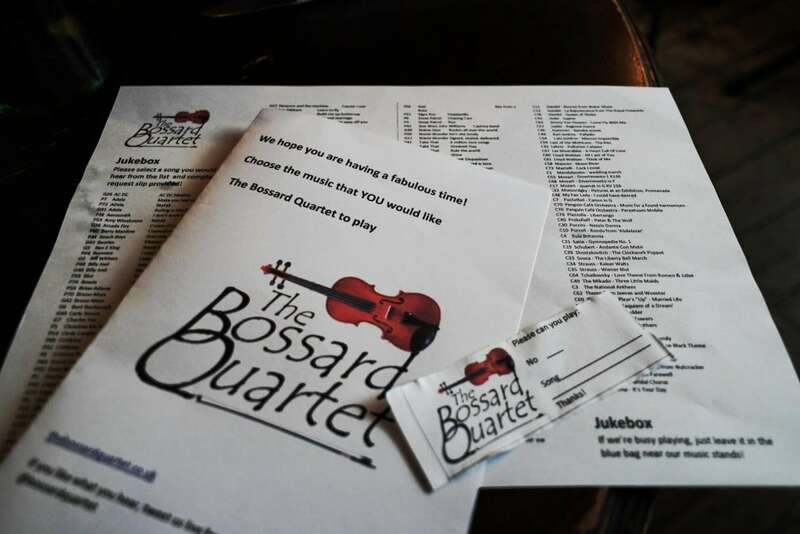 The Bossard Quartet took a break from summer weddings to play for the Year 11 School Prom for The Petersfield School at the Tithe Barn near Ditcham in Hampshire. 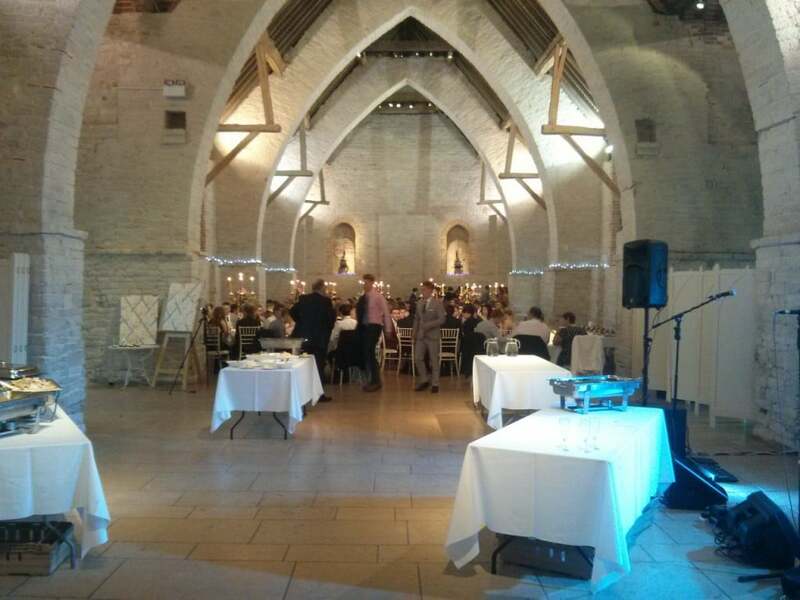 The P etersfield School holds an annual leavers ball for Year 11s and this year the chosen venue was the glorious Tithe Barn. 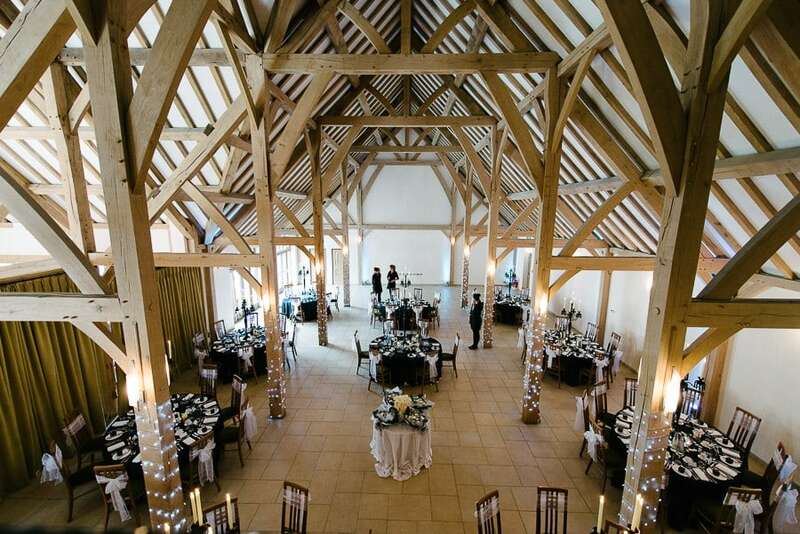 We have played at this stunning venue near Petersfield several times before for weddings. 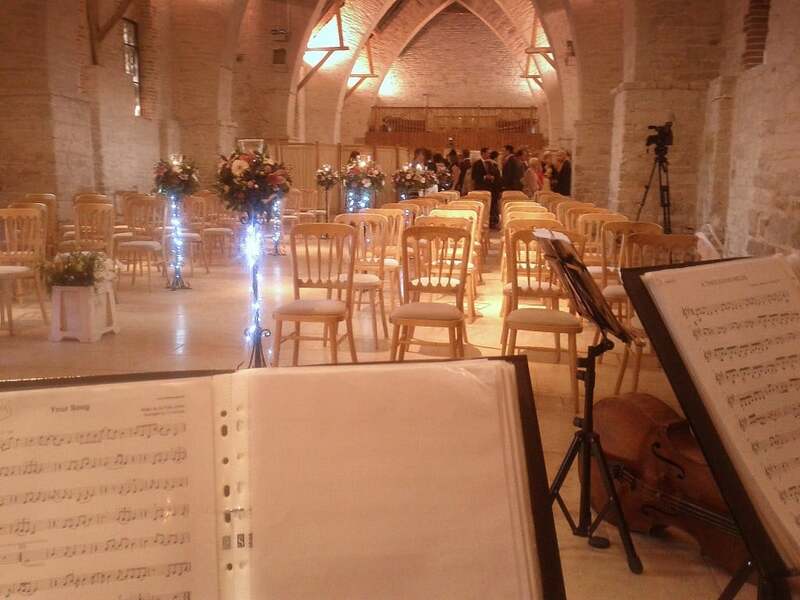 It was fun to go and play there for a different sort of event this time, a school prom. 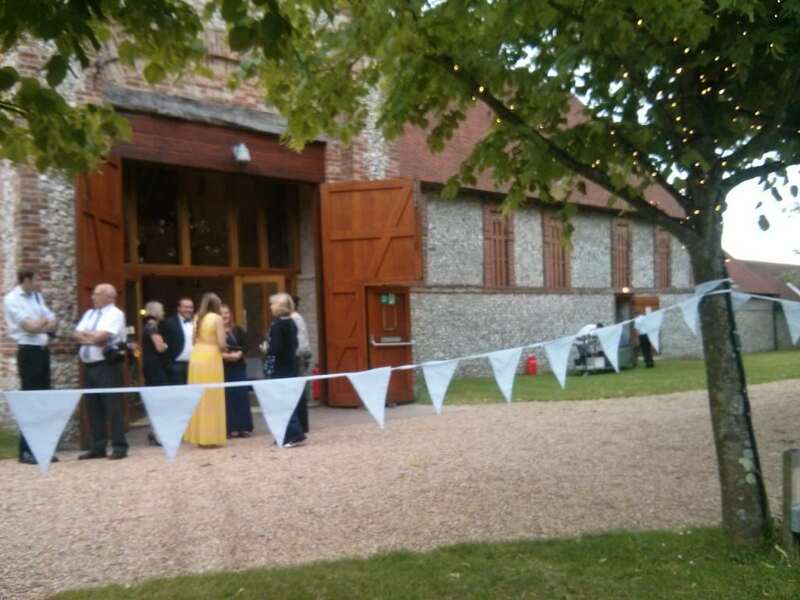 Year 11 students from The Petersfield School arrived in style at The Titche Barn near Ditcham. The waiting crowds of parents were treated to a great display of dresses and suits. The students arrived in a wide variety of vehicles that seemed to get more and more impressive as the evening went on. From mercs, audis and bmws, to porches, ferraris, VW campers, and a lorry! They paraded down the red carpet and around the lawn for photographs. The staff selected the music we played using TBQ Jukebox. 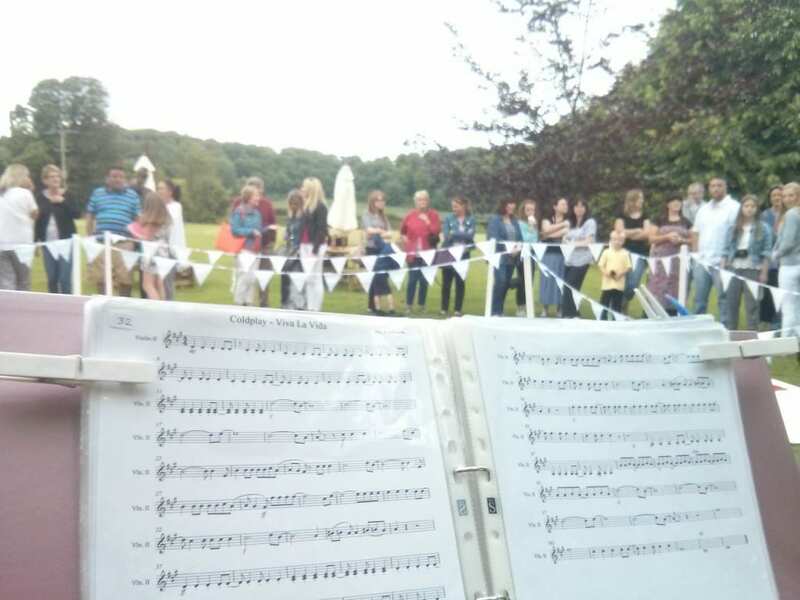 We enjoyed playing at this event – it was something a little different for us, and nice to see the Year 11s enjoying themselves so much.